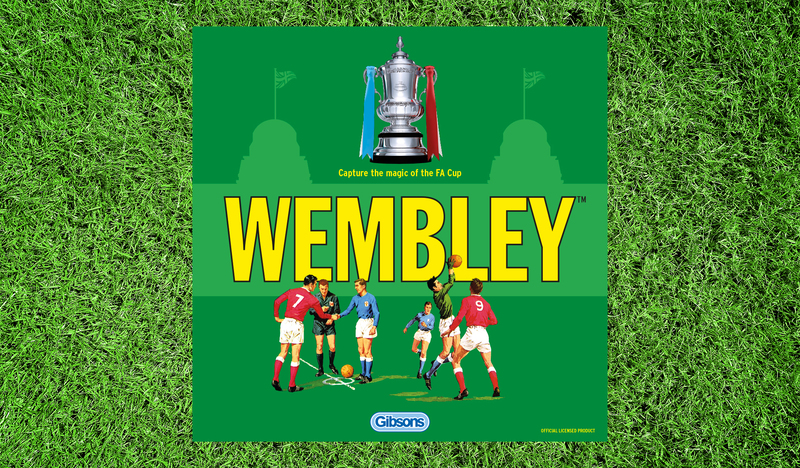 The independent jigsaw puzzle and board game company have been entertaining generations since 1919, and needed Greybox to redesign the artwork of their classic game, Wembley. The game was first launched in the 1960s and encourages players to manage their teams to the FA Cup final. With weighted die and the opportunity to spend their well-earned cash on star players, the game is great fun for all the family. To ensure the game did not lose its nostalgic and retro charm, Greybox transferred some of the original artwork onto the new design and kept the iconic green on the box packaging. The original board was messy and overcomplicated, so Greybox simplified the design to ensure the focus was on the game’s key element – the football pitch. By colour coordinating the team cards and redesigning the cash tokens, the board game components have been transported to present day, yet still have a sense of nostalgia that was loved by all in the second half of the 20th century. The new design is simple, yet striking, and has received nothing but praise from retailers and consumers alike. Wembley will be available in April 2016 ready for the FA Cup final!